"Design is the intentional solution of a problem by the creation of plans for a new sort of thing..."
I liked this definition at first, but began to grow wary when I thought about how game design fits within it. Most of it fits my intuition quite well. The primary verb of game design is certainly planning. Most of us strive to make as new a sort of thing as we can, given the constraints of hardware, budget, schedule, physics, and imagination. But while we certainly solve many problems as game designers, it's difficult to think about a game as embodying the solution of a problem. What kind of problem do games solve? As an educational game designer, I'm trying to solve pedagogical problems, and many other serious games attempt to solve, or at least alleviate, problems in the world. There are citizen science games which tackle concrete research problems. Fundamentally, though, what problem does a game solve? Too much free time? Not enough software to sell proprietary hardware? There is an argument to be made that games solve the problem of fulfilling psychological needs in their players (or their creators). By this logic, you would have to lump art and design together, as the arts are usually associated with primarily being 'of use' insomuch as they are able to alter their audiences' state of mind. You might be willing to stop there and say that 'game design' is a misnomer, and game designers should instead be called 'interactive artists', or somesuch. No. The resolution of this conflict, I believe, comes with the realization that coming up with the initial idea for a game is indeed not a process of design, but rather an artistic one. Everything that comes after that is the design part. We are solving the problem of "how should we make this?". The idea may be a theme, a story, a genre, a feeling, a mechanic, or any combination thereof, but we will always need design to support and realize that idea. Skeptics of this notion might argue that this kind of artistic invention happens all throughout the process of game design -- stories, visuals, music -- so why should the initial idea be privileged in this way? I would respond by saying that additional artistic invention act primarily as support for the initial idea, rather than artistic objects in their own right, in the way that additional constructions may be necessary for a geometric proof, or floral carvings might give a chair a more old-fashioned character. 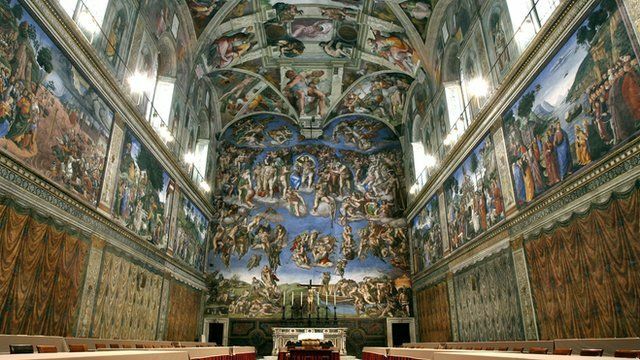 Taking this to its conclusion, one might say that Michaelangelo's painting of the ceiling of the Sistine Chapel may be, in fact, an act of design, insofar as the guiding vision behind the project was *not* an affecting image which depicts god's relationship to man, but an awe-inspiring chapel, and the painting exists in service of that. I find this realization very freeing because, though I enjoy the ideation process and of course I have more game ideas than I could execute in 10 lifetimes, it takes the pressure off the designer to create game ideas that fit their team. Those ideas can and should come from anywhere. It also confirms all of our suspicions about those so-called "idea men" we tend to meet at parties and in shared Lyft rides. They may in fact have good ideas, but they cannot be called game designers because they have not yet engaged in the process of design at all. *Note: It's no mistake that this period is outside the quotation marks. The author is using logical punctuation.